Donald and I, and our entire family of seven, found out last Saturday evening, our home, our business, and everything we ever owned, collected or built has been destroyed by the California Camp fire that almost completely obliterated the town of Paradise, CA. We barely managed to escape the all consuming fires Thursday morning! We didn’t even have a chance to grab necessary documents or clothing. It is tragic and a very emotional time for us. We were on the very cusp of taking BBS Radio to the next level of it’s development, something which took all our efforts and resources. As you all know, we completed everything over 2 years to become Gov’t contractors, to be able to accept money by various agencies that wished to advertise on BBS Radio. We wanted to be the ones to bring the advertiser to our hosts. We also were just approved by iHeart to be a 24 hour station stream on their network. We also had our Company syndicating our live 24 hour station streams to almost 70 of the largest networks on the planet. We also did all the research to prove our standing in the industry. We were set to grow to levels far beyond what other companies in this industry were capable of, and we were excited about the future, and for future of our hosts. We are already moving forward, going into further debt, as far as possible, to acquire all the necessary equipment to be back in operations within a couple of weeks, but the costs of this endeavor, the costs to survive, with food, shelter, clothing and the purchase of equipment is beyond our current capabilities. We wish we could handle it all, without help, but we literally have nothing. Sam, the owner and founder of LA Talk Radio, kindly set up a GO FUND ME account for us! And we are eternally grateful! It brought us to tears to think that others cared so much for our well-being, they offered help, even without being asked. Donald and I feel so much love from so many beautiful spirits, family and friends, it’s overwhelming! The community around us, their support, the offers of assistance, the kindness and love by everyone, the words of encouragement at this time, are so well intentioned, it can’t help but make us emotional, humbled and thankful. Our society is without question, built on love and kindness at its core, and we have been blessed to witness this, here and now, and words are not enough to express our deep and heart felt appreciation. To be shown so much love and goodwill makes us all truly emotional. How does anyone express and return such generosity and love, which comes from so many beautiful souls, and feel worthy? Please, if you can find it in your heart, please help us raise some money so we can get through this situation and be able to rebuild quickly. We are at 60% of our goal, which is so close to being able to rebuild and purchase all the necessary equipment to have BBS Radio up and running within days of finding a more permanent place to stay. This is a blessing beyond words. How can we possibly thank everyone for being so kind and thoughtful. We pray, someday to have this chance, to repay your kindness. As soon as we are moved to a new location, we will be able to produce radio shows and be back to normal. IT WON’T BE LONG! Thank you for staying with us! We are working tirelessly to get everything done as soon as possible, and WE WILL BE at full capability if we reach our goal on gofundme (which is a MIRACLE if it happens). We are so, so, so very grateful! Donald and I are so blessed to have such FANTASTIC HOSTS, FRIENDS, FAMILY, LISTENERS and LOVED ONES! It almost feels like a year has passed and yet it has only been a little over one week! For us, the most important thing is to keep moving forward, as our network touches so many lives, million and millions, and that is worth more to us that anyone could possible know, and it is the reason we will walk through the fires to keep moving forward, regardless of the costs to ourselves. We have lost everything, but possessions are meaningless. 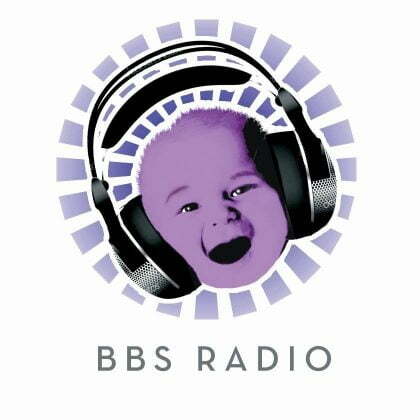 It is BBS Radio, our hosts, and their good works that ultimately have the real value. We can and will move forward, even if at the end of the day, we never have anything to call our own, because, in truth, we have everything that matters, the love of our community, our family and friends, our hosts and the lives of everyone BBS Radio touches. Little by little Donald and I are working through the myriad of issues we are confronted with, and the numerous tasks we must complete each day, to recover information, access accounts, stave off bills, find more permanent accommodations, acquire equipment, answer calls and emails, deal with insurance related tasks, comfort the children, etc., but we are getting things done. We are fortunate, we have a beautiful family that is working together (twins are never alone), we are receiving an outpouring of prayers and well wishes from so many people, it’s truly impossible to express, and support from our entire community, reflected in so many ways, that it would lift up any human spirit in witness of it. The love is so deeply felt, and often makes us emotional. Please help us, by sharing the gofundme link or our paypal donation link, and posting it to all your social sites, facebook, twitter, linkedin, etc.. even on your websites if possible. Please, if you have the means, donate. Donald and I have never asked for help. It’s hard to do, especially when you want so much to give, and when there are so many other people in need, but alas, we don’t know what else to do, and we don’t want to see BBS Radio fade away. It would destroy us more than any fire could possibly do! Please share the gofundme link and ask those you know to also share it. I do remember your kindness and patience with my piano show, and went to searching for BBS and was saddened by what has happened. You and family are in my prayers.